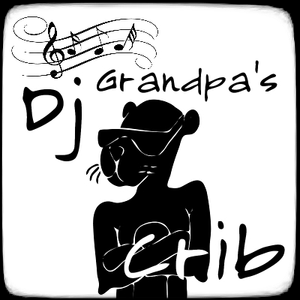 Discover the artists, singers, producers, entrepreneurs, game developers, and inventors of the future at DJ Grandpa's Crib, the unofficial Kickstarter Podcast. With a fresh voice and inspiring interviews, this weekly podcast celebrates the creative genius in each of us. Don’t miss a single episode! DJG takes a Tiny Trek with Chris Carson, discovers The Sushi Wallet, meets Tony Dow, all grown up, finds some Nevada Color with Max Kovalchuk, hangs out with Jason the Greek, learns to let go with ItsaBOB, and builds a longboard with Kevin Romero. Tony is best known for his role as Wally on Leave It to Beaver. Nevada Color recording first full-length album "Adventures"
Thank you for the feedback.. hold fast.. The Podcast President. As I Twitter My Life Away..
# DJG now LIVE on Kickstarter! A Bedrock Communications Company. Powered by Blogger.